A little while back now I received an email from Emerald Street Manchester saying I had won a pair of tickets to go to an exclusive shopping event at Thomas Sabo on the 8th June at Manchester Arndale shopping centre. At this time back in June I was in the middle of my exams and was contemplating whether to go or not, however after some thought I realised what an incredible opportunity this was so put down my pen and paper and headed to Manchester a close blogger friend Saffy for the evening of excitement. 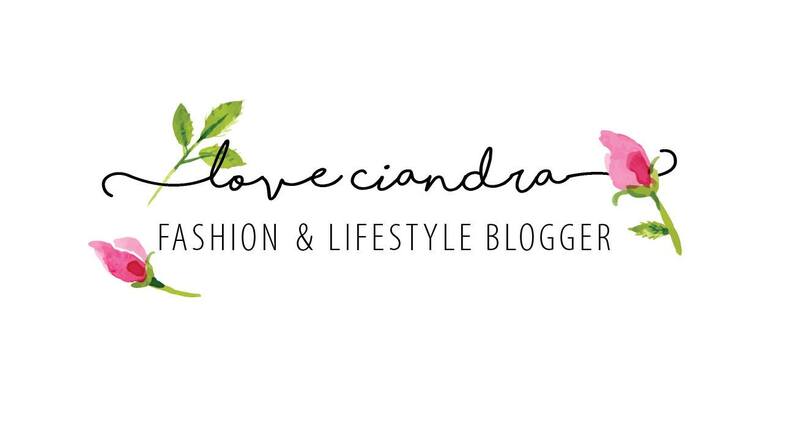 Please take a look at her blog, she has such beautiful style! The night was to celebrate the latest summer additions to the Thomas Sabo Charm Club collection and I must say I instantly fell in love with every piece of jewellery on show. Alongside the launch of the new additions to the collection it was a fun filled night of fizz, canapés, and styling tips from top blogger and downright lovely person Sophia Rosemary throughout the evening. I learnt so much from Sophia about how to style Thomas Sabo's collections but also how to immerse myself in the blogging world, I must say she was one of the main reasons I felt confident enough to start blogging. So thanks Sophia, you should definitely go and look at her blog! 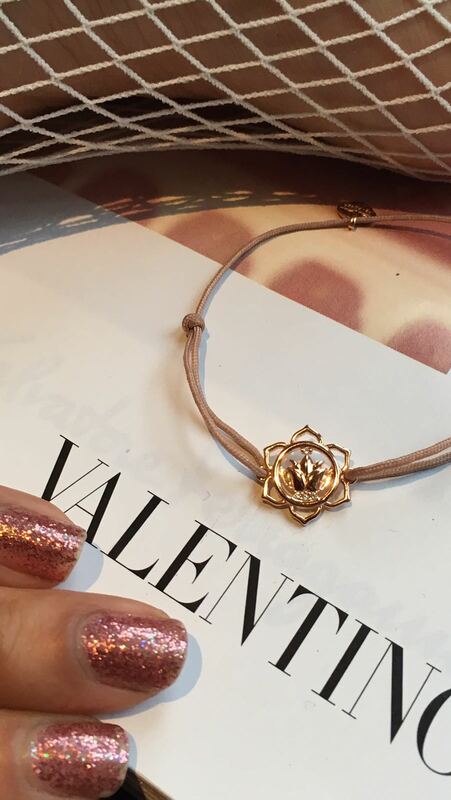 My favourite piece from their collection are the Little Secrets Bracelets, the picture to the right shows the 'The Little Secret Lotus Flower'. I love these pieces because the engraved symbols of the delicate bracelets create a special bond between the jewellery and the soul. The fine, hand-knotted bracelet with rose gold lotus-flower pendant is versatile with any outfit and instantly adds a simple glamour to your look. 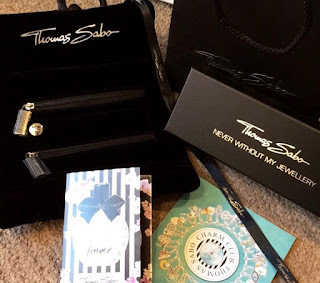 At the end of the evening before leaving I received a complimentary goody bag which included a velvet pouch so I can travel with my Thomas Sabo jewellery safely and a few samples of their Charm Club Forever fragrance which I am obsessed with! It was such a thoughtful touch from them and really brought the evening to a nice close. Please check out Thomas Sabo's website and take a look at their new collection, you wont be disappointed! I am so glad I put down my revision and headed to the event that night, was a night to remember.